If you're looking for the perfect city runabout, the new Suzuki Celerio should be your only consideration. Available models include the SZ2 and SZ3, which means that you'll always look good on the road. It may appear little on the outside, but the Celerio is incredibly spacious and makes the perfect car for both first-time and experienced drivers! The new Suzuki Celerio, the practical city car is available now from Motorparks Suzuki and Invicta Motors Maidstone Suzuki. Hit the road like never before in the new Suzuki Celerio. Although the new Suzuki Celerio is neatly compact, it does not disappoint with its performance. The 1.0 Dualjet engine offers a thrilling ride and makes driving much more affordable. Environmental benefits include the release of fewer CO2 emissions which is always a good sign! Both models offer drivers great manoeuvrability and ultimate visibility when it's time to get behind the wheel. 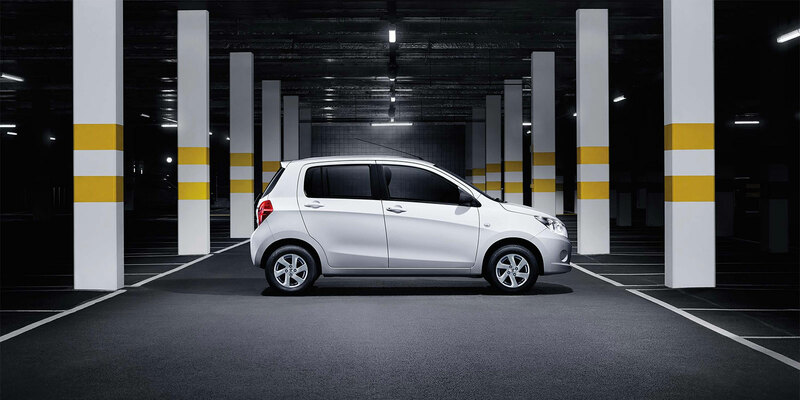 Although it sports a petite look on the road, you'll be impressed with the compact dimensions and tiny turning circle. Equipped with its alloy wheels, this five-door car will take you on spellbinding journey that you'll never forget. With driver seat height adjusters, you can feel more comfortable when it comes to getting behind the wheel. Both models offer a quality interior design with plenty of leg space for drivers and passengers alike that ensures each journey is enjoyable. Although it's often a rarity in your average city car, you will also benefit from seat height adjustors. The dashboard is easy to get to grips with thanks to the simple rotary controls for comfort features including lifesaving the air-conditioning system. You won't be short of technology when you're sitting in the new Suzuki Celerio. To play all of your favourite tunes, make use of the DAB digital radio - the SZ3 even has Bluetooth and a USB connector allowing you to be in full control of the entertainment! For those looking out for the safety features, both cars include a front and side, as well as curtain airbags. There are many ways to make your Suzuki Celerio unique to you. It's important to express yourself with your new set of wheels. Both Celerio models are available in Superior White, Cerulean Blue, Super Black, Ablaze Red, Star Silver, and Mineral Gray.When it comes to the SZ2, you can add personal favourites including a carpet mat set, fog lamp kit and a bumper corner protection set. Interested in learning more about the new Suzuki Celerio? Visit us at our Invicta Maidstone Suzuki dealership - part of the Motorparks family.